Between a few difficult weeks with Sprite (though, we did get 9 new teeth out of it) and the fact that taking blocks apart and re-working them isn't nearly as much fun as making them in the first place, work on the wedding quilt slowed down to a snail's pace. 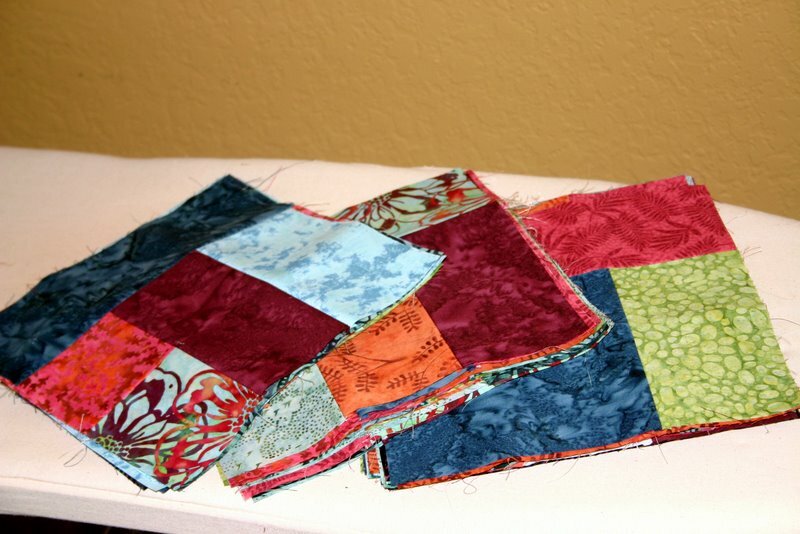 But, a month later all the blocks are finished, I've settled on a layout and I've even started sewing rows. I'm much happier with the new blue. Everything flows nicely now, and the quilt was just what I envisioned. It was worth the extra work to do it right. And now the pace has picked back up as I get to watch the quilt come together. Its sure to stall in a bit here, though. I *think* I've decided to machine quilt it on my sewing machine. I really should be able to on this new machine, and its only a lap size quilt. But, its really intimidating all the same.